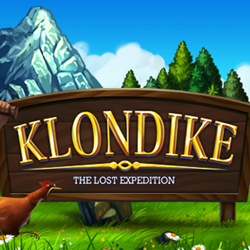 All Klondike bonus links will expire between 5-14 days. If you have not played the game for awhile use the Klondike Bonus Collector here. · Make sure you do not have the game running in another tab or window or you will not get the bonus gift. · Links can only be used once. · Your settings may not allow a new tab to open. In this case right click the link, copy it and paste it into a new tab manually. · Sometimes you do not see the notification that you got the reward if you click too quickly in your game before everything has loaded. Very useful link, I've got many bonuses that I've missed. But there is an issue with some very old links, as they are not working, so I kind of figured it out that the links to the bonuses given more than 6-7months ago are not working. So people, you can save yourselves some time by not trying to access them as they are not working.